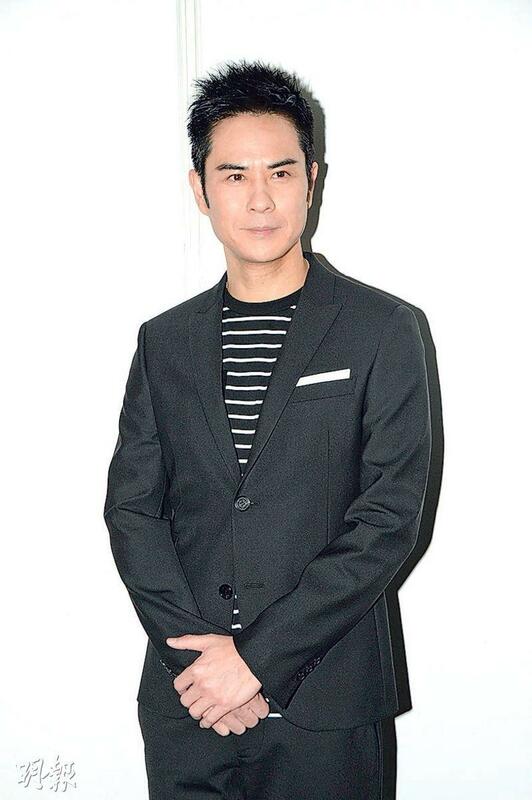 Lam Fung said that 18 years after STEP INTO THE PAST (CHUM CHUN GEI) he worked with Koo Tin Lok again on P STORM (P FUNG BO). This time was also his first villain role. Goo Jai also praised Lam Fung as more stable and mature 18 years later, working together again was particularly happy. Lam Ka Tung said that Goo Jai "did him in" in the first installment, thus this time in the fourth installment in the prison he "did Goo Jai in" with his subordinates at the shower. The only female lead in the film, Chau Sau Na said that Lam Fung was trying to kill her on a helicopter. Luckily Ka Wing saved her and she felt very fortunate. Ka Wing also said that fighting in the narrow space in the helicopter was quite a challenge and felt that Lam Fung was quite agile. Sister Na did not complain even though she got bruises. She had a lot of professional ethics. Cheng Ka Wing was asked if he would start to be more careful now that he has a family. Ka Wing said, "Now film productions would more or less have action, my wife is an actor too. She would understand the process. In addition I don't want to stop being an actor so soon!" His son just turned a month old. Did he feel he looked like him? Ka Wing said, "My Ma says he looks like me, my mother in law says he looks like my wife. For now I feel he looks more like me, when he will be a little older maybe he will look like my wife. Everyday he looks different!" Yesterday at work Ka Wing admitted that he kept missing his son. "Actually anyone with children would know. Now every two hours he would need someone, but he has been very nice and slept very well. Sometimes he would wake up, so I have to have patience." With his fatherhood experience, Ka Wing said that he started to know his son's temper. If he had to go he would be moving around with his face all red, if he was hungry he would have another reaction. He changed, fed and burped his son. When he successfully burped his son he had an indescribable sense of satisfaction. However he said that his son was very "nice" as he already poured tea for him. "Once the maternity assistant was changing him and I was standing next to her. He turned to the side and spray in my face. The feeling was warm, very powerful and strong. However it probably happened to every Papa!"